Master the forces of nature in Element! 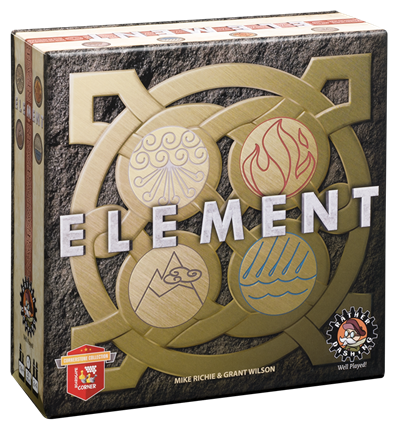 Element is a unique strategy game for 2 to 4 players, ages 14 and up. Players take turns drawing and placing Element stones to encircle their opponents’ Sages (player pieces). Each Element has unique properties used to block an opponent’s movement. Feed walls of flame, move raging rivers, raise impenetrable mountain ranges and even bend wind to your command. 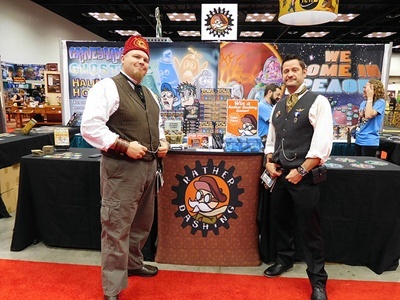 This year marked Rather Dashing Games’ sixth year at Gen Con and it was our best year ever! We had an amazing time demoing our fine games, chatting and playing with fellow gamers, seeing some cool costumes and new releases, and so much more! Speaking of new releases, we launched our newest game, We Come in Peace, at Gen Con. It was received warmly and enthusiastically by veteran fans of Rather Dashing as well as many, many new faces. Our booth was crowded as gamers waited their turn to roll some dice and annihilate each other’s planets! A few lucky winners walked away with copies of We Come in Peace and our other games. Gen Con 2016 kicked off this morning in all of its madness! For the lucky ones who are there, be sure to come see us in booth #243! But if you can’t make it this year, don’t worry — you can still have some Gen Con fun with us from the comfort of your own home. 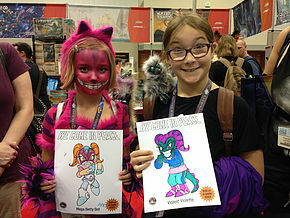 We created coloring pages to showcase the characters in our newest game, We Come in Peace. We’re sharing them at Gen Con, and sharing them here with you as well! Please click here to download the PDF and have fun coloring them in. In addition, visitors to Gen Con get a chance to buy We Come in Peace and receive the limited-edition bonus game piece. But to be fair to those who can’t go, we’re offering you a chance to win signed copies of our games and the bonus game piece in our Play Along at Home sweepstakes! We’re accepting entries through Monday, Aug. 8, so be sure to enter soon for your chance to win. If you want to just go ahead and order We Come in Peace, that’s great too!